One of the greatest accomplishments of a student is to be able to finish his or her studies. As for those in high school, the penultimate goal is to graduate and then go to college. It is the ultimate dream, as it has always been for a teen boy or girl to finally step out of their younger years and slowly step into a more mature world. It is nothing short of fulfilling that all that they have endured and worked hard for years in high school will finally pay off. And, nothing else will validate and solidify that achievement than a diploma certificate. High school diploma certificates serve more than validate and solidify the achievement of the students. It can also work as tangible proof to those who wish to work at an early age due to unfortunate circumstances, that they have acquired a high school education. Knowing that some employers seek for an assurance that they have indeed finished high school, these certificates can be their ticket way into a job. So, if you work in a school as a teacher, administrator, or even an official it is your duty to provide the graduating students with the best high school diploma on their graduation day; for them to have something to keep and look back to for the rest of their lives. With that said, here is a list of high school diploma certificates perfect for your student’s graduation ceremony. What are the Advantages of Having a High School Diploma Certificate? There are different advantages when you acquire a high school diploma. 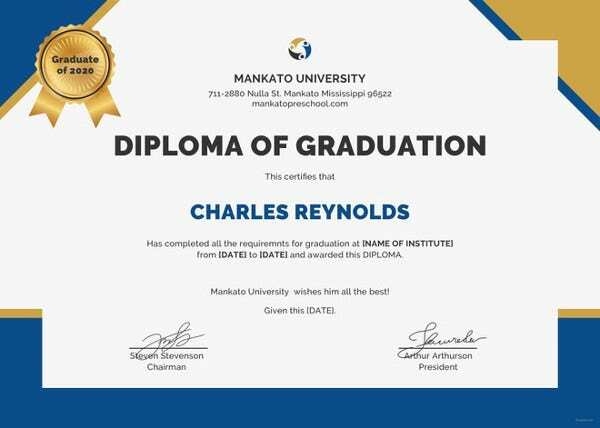 So, as a school officer, it is important that you provide your graduating students with only the best diploma certificate that they can make the most out of when they graduate. 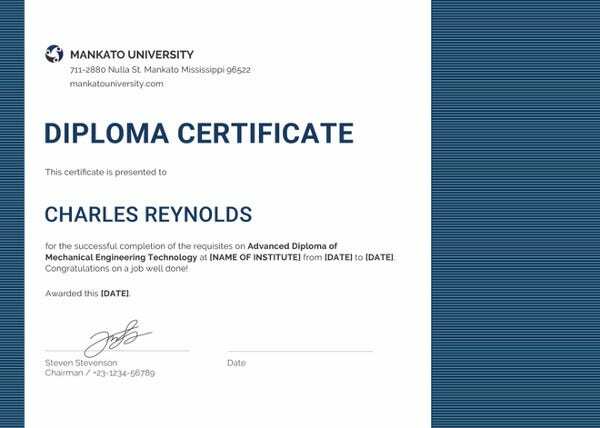 You may also see sample diploma certificate. As it is the goal for most high school students to go to college, providing them with the best diploma certificate will grant them that opportunity. 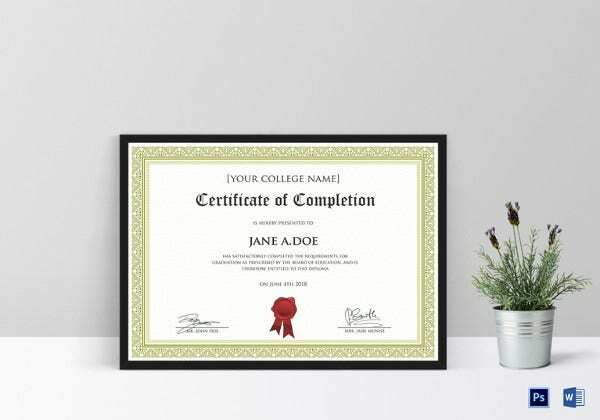 Diploma certificates serve as their ticket to college, especially now that most jobs require their potential employees to have a college education. 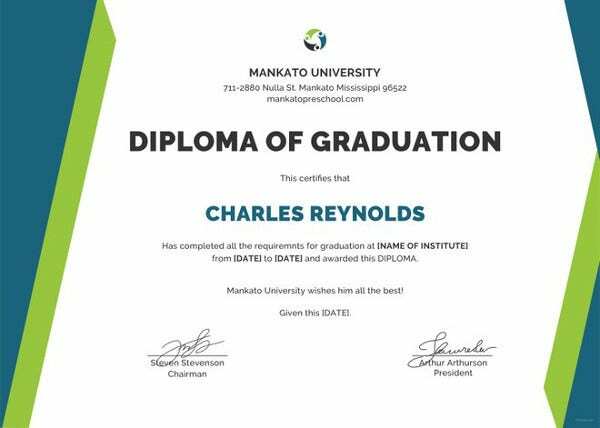 It will for sure give your graduating students the pride if you provide them their professional diploma certificates, as it validates all the years they have spent in high school; all the hard work, the patience, and their dedication to accomplish another chapter of their lives. These all will be solidified by a high school diploma certificate and will make them feel proud for having accomplished such. Having a high school certificate is sometimes your door to better job opportunities. Having such will not limit you to jobs you are not interested in, rather it will provide you an array of options that are in parallel with your interests and skills. Also, with a high school diploma certificate, it can broaden your perspective and horizons to more jobs that might help you grow as an individual and a professional. 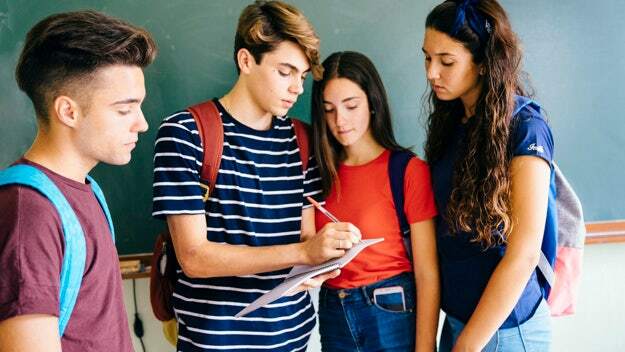 In line with high school diploma certificates being able to provide your students with better job opportunities, it will also able them to earn higher wages. Considering that they have acquired a high school education, makes them a fit candidate for positions with better salary offers. You may also see simple diploma templates. Where Can One Acquire their Own High School Diploma Certificate? 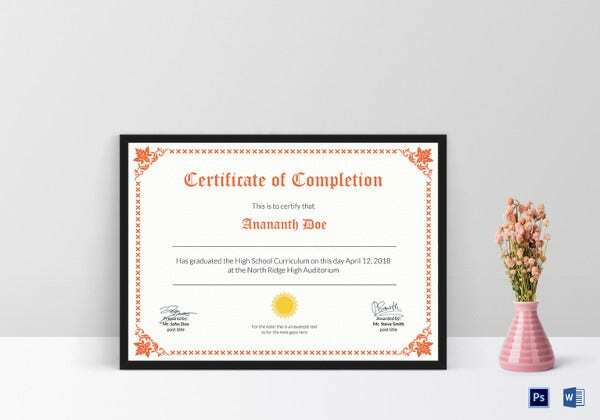 The best way for one to get their school’s very own high school diploma certificate is by simply buying a premade design and template online. Why? because it is readily available and comes with advantages of efficiency and practicality that not only help you in making it on your own but also in saving money. Of course, there are other options available, like having it made by a professional graphics artist, but with just simply buying one that is premade you get exactly what professional graphics artist make but at an affordable price. You may also see attendance certificate templates. 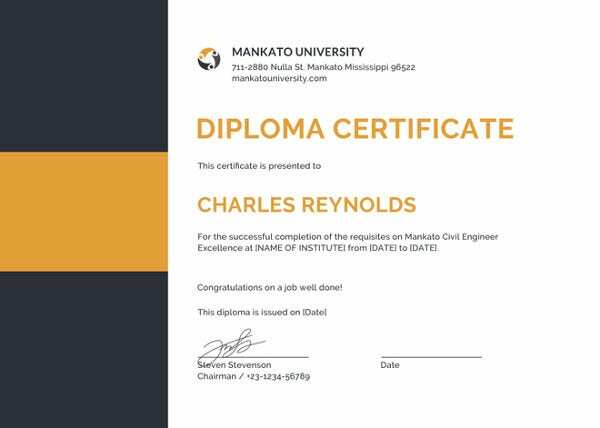 What are the Advantages of Simply Buying a Premade Certificate? This is the greatest difference between buying a premade certificate design and template to having it made by a professional graphic artist. 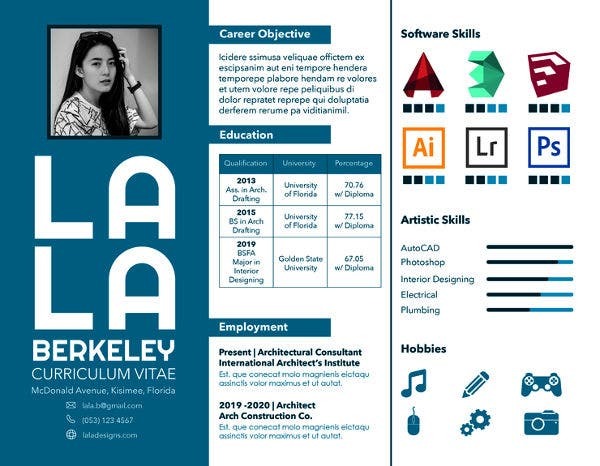 Premade certificate designs and templates are all relatively lower in terms of price point compared to having it custom-made, simply because these certificate designs and templates are made in assumption to what the customers want. These designers creating these different designs and templates are not obliged to follow any demand or requirement, just at their own liberty and preference. As opposed to having it custom made, where the price tag is expected to go high because of the many factors that are taken into account. As such is the consultation alone that might transpire a couple of times to fully grasp what you want as a client and then there is the number of hours that the designer worked on your certificate to meet your standards. Considering that you will be doing this on your own after purchase, it is not such a demanding task to do. All you need is a little knowledge of the basics of the different software used in graphic design and you are good to go. Also, these certificate designs and templates come in a file that is easy for you to edit and customize. 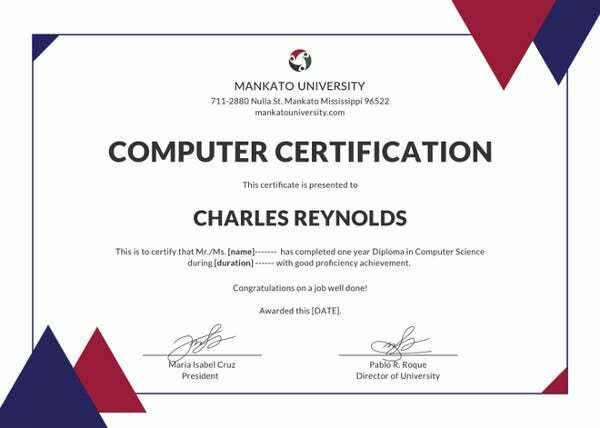 At times, it comes with smart object layers that allows you to move around elements of the design to create a more personalized certificate. Lastly, because it is premade, the design and template of how it was laid out by the designer can work as your guide, giving you an idea of where to put designs or type texts. 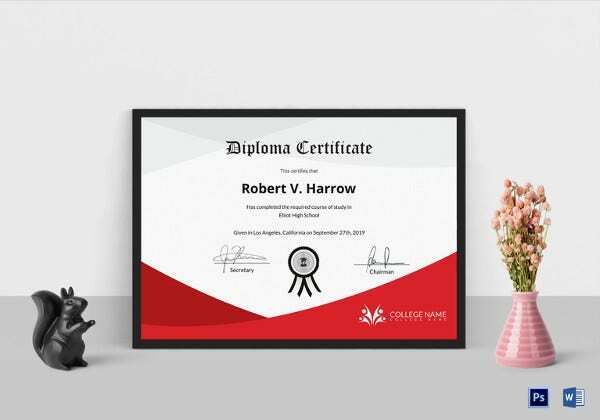 Having in mind that these certificates are premade, it also means that you are given the liberty to do whatever you want with it. You can edit the texts, cool fonts, colors, or even the placement of the designs to your preference. It almost works like a collaboration between you and the designer of the certificate. Knowing that it is initially made by these talented people, it gives you the freedom to finish the certificate in the way you want it. 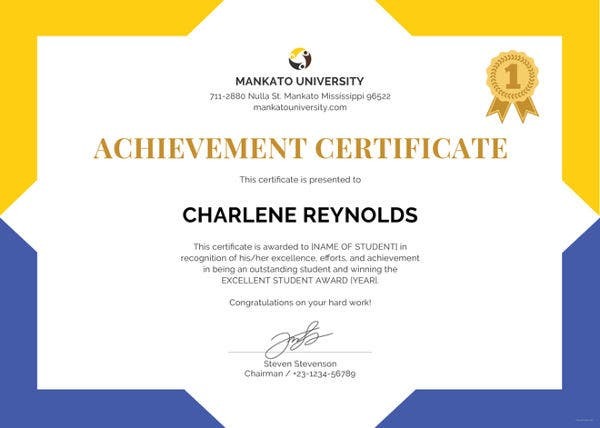 Although these certificates are premade, they also come in various designs that give you tons of options to choose from. 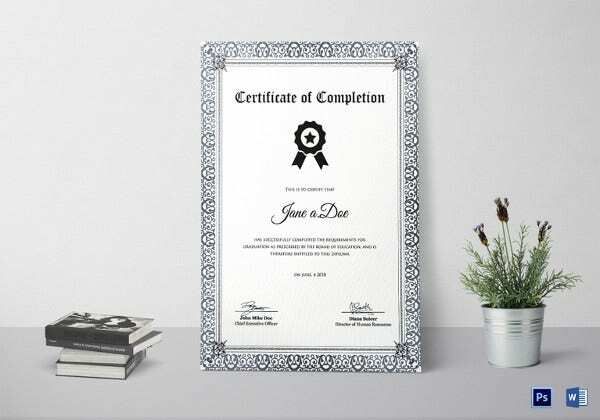 There are simple designs to cater to those who are traditional and want a more classic looking free diploma certificate, there are also modern designs who prefer a non-conventional looking high school diploma certificate; elaborate designs that exude sophistication and luxury, and fun designs for those who want a more different and non-conforming high school diploma certificate. There is definitely one for every preference. What Should be on Your Student’s High School Diploma Certificate? Because we are honoring the students who are graduating, it is important that you identify these students in the certificates. By putting in their names make these certificates personal to them, in turn, making it more special and meaningful. Also, their names set these certificates apart from each other as it works as an identifier. You may also see free certificate templates. It is also important to put in the name of the school as it implies professionalism. Not only that, it will also help identify the student of what school or university he or she graduated from. You may also see college diploma certificates. Having the names and signatures of school official (i.e school president or principal) makes the high school diploma legitimate. It also validates the recognition that these students have accomplished and finished high school and is ready to move onto another chapter of their lives. You may also see printable diploma certificates. There are other pieces of information that wrap the whole certificate to make it effective. You can add in a short text that states what the students have done (i.e “has satisfactorily completed his or her high school education and so on”), date of when the diploma certificate is given, and even the kind of certificate being handed out (i.e certificate of complete, excellence, etcetera). You may also see certificate template samples. 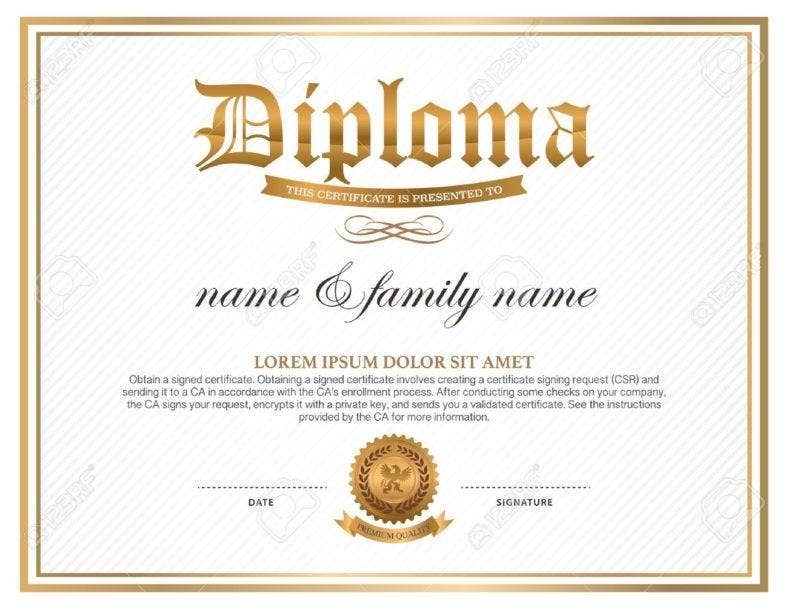 If you found this article helpful in any way do not forget to bookmark this page for future references and kindly share this post with other school officials seeking the best high school diploma certificate designs and templates.